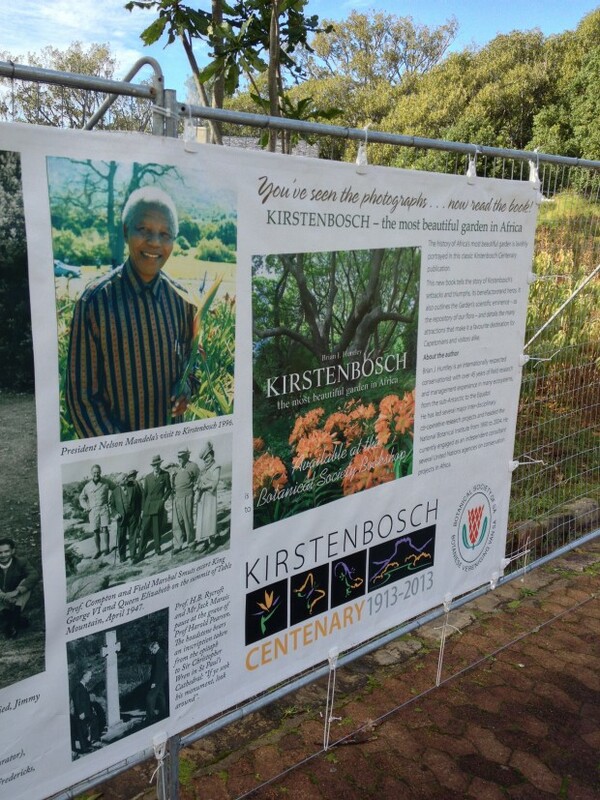 Kirstenbosch National Botanical Garden in Cape Town will celebrate 100 years of existence with a bang tomorrow as they usher in their triple-digit birthday on 1 July 2013. 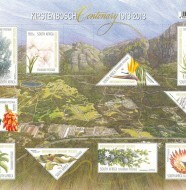 They’ve have laid on special events and activities, including loads of fun for kids to coincide with the school holidays, a special book signing of “Kirstenbosch – the most beautiful garden in Africa” by author Brian J. Huntley, and the launch of a special issue of postage stamps in collaboration with the SA Post Office. Best of all, entry will be free to anyone visiting tomorrow. 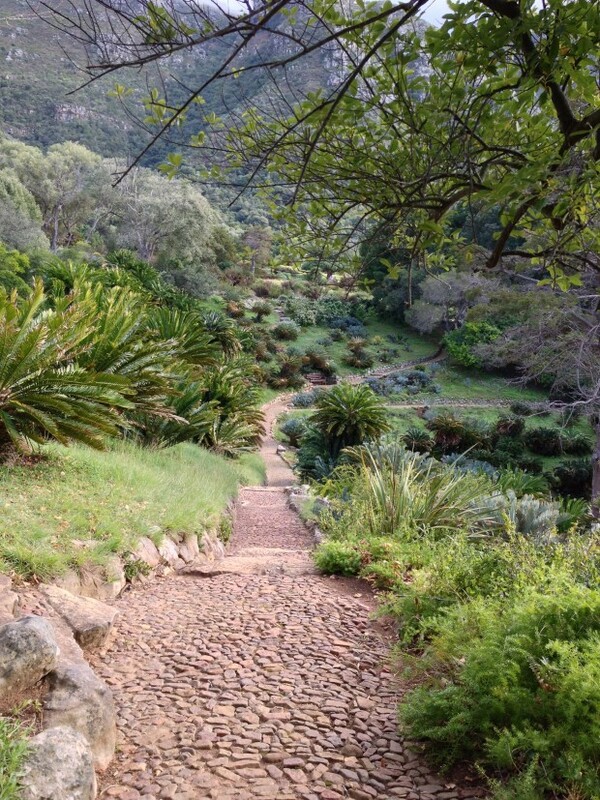 We went along to see what anyone can expect visiting this magical garden. 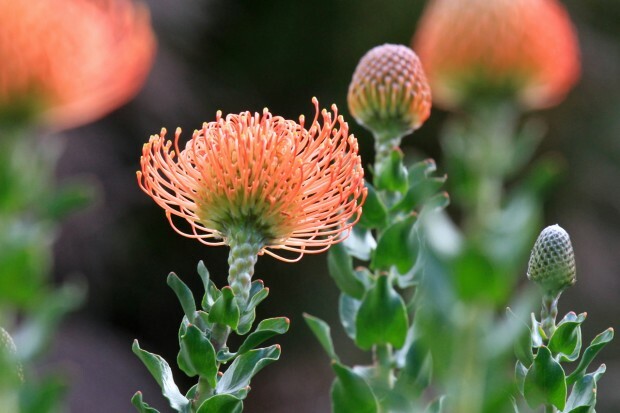 Well we can tell you that it is blooming magnificent, with aloes, ericas, proteas and many other plants in bloom right now. The views are breathtaking, the gardens lush and luxurious, and carpets of green lawns spread out under some of the trees also celebrating their centenary. Loads of families with their blankets spread out on the grass together with their picnic baskets. Children runnng, jumping and squealing with sheer delight. 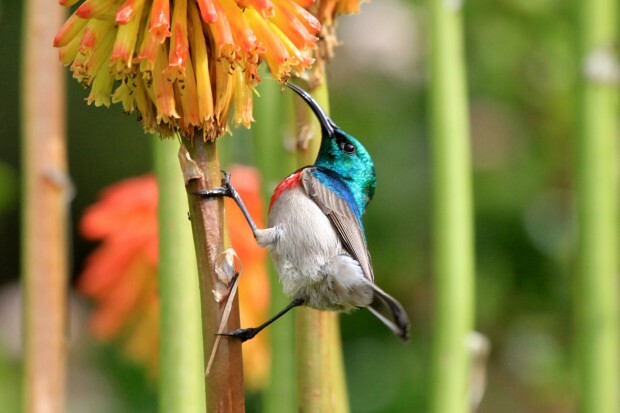 Birds abound in among the flowers and in the trees. 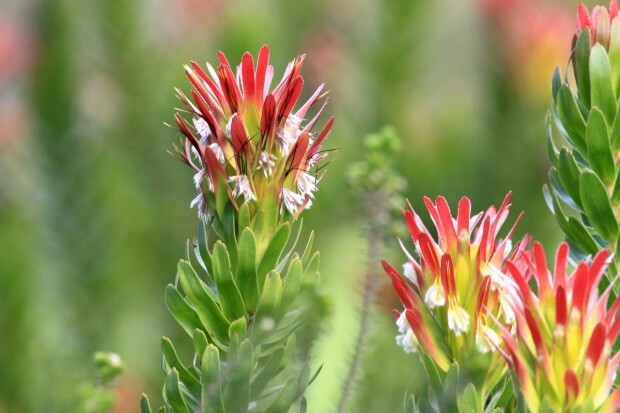 Sunbirds, flycatchers, woodpeckers, cuckoos, canaries and robins, with guineafowl and spur fowl mingling with the picnic goers and too many others to mention. 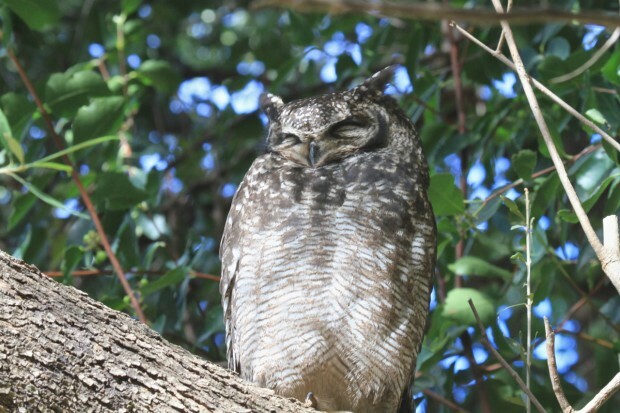 Most famous of them must be the resident pair of Spotted Eagle Owls, which breed every year in the garden, intriguing and delighting the locals – especially when they bring their chicks out on view. 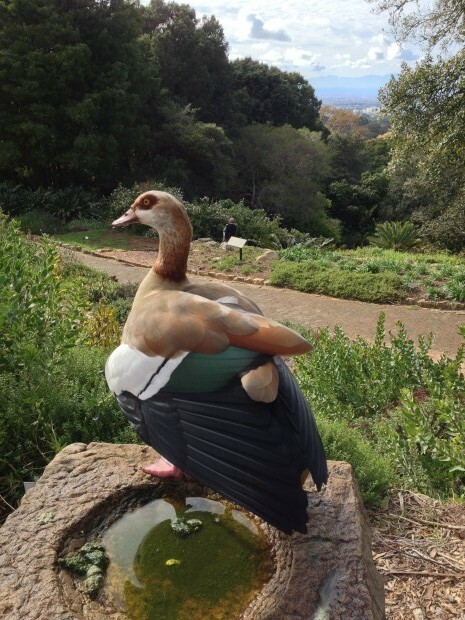 Legend has it that the owls have a guardian Egyptian Goose named Geraldine, who the locals say only carries out her guardian duties when the owls are about to produce chicks. Here she is on guardian duty, with photos of the male and female owls. Geraldine the guardian of the owls. 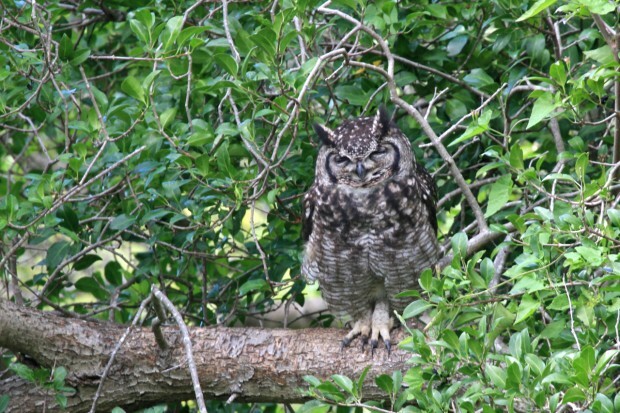 Male owl, smaller than the female. Female owl, larger than the male. 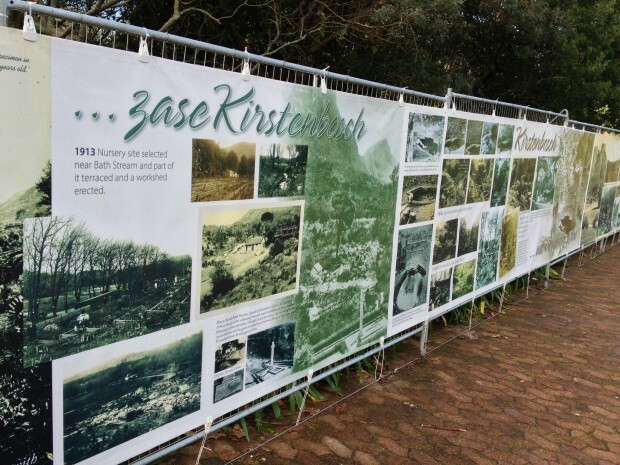 Kirstenbosch has set up a photographic walkway of the past 100 years near the Moyo restaurant in the centre of the gardens, showing the major highlights and achievements over the years. 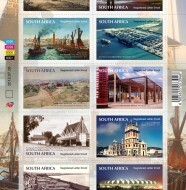 It features Nelson Mandela’s visit and the naming of one of the strelizias after him. It is a magical look at the past and present and should be seen by everyone. The garden has two restaurants for those that may be feeling in need of sustenance after a long walk up the slopes. A shop caters to visitors wishing to purchase books on birds, reptiles, history or mementos that can be taken home to remember their visit. 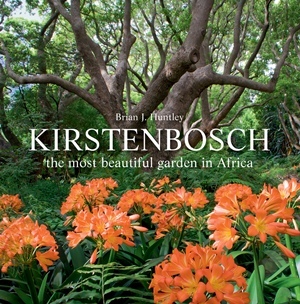 Kirstenbosch also has a nursery where they propagate indigenous plants that are for sale to the public. Summer concerts are held in the gardens with local talent playing to the crowds, who can often be seen on their feet dancing to the music. 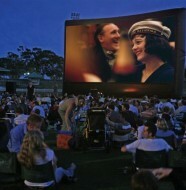 Christmas time brings the annual Carols by Candlelight evenings that are enjoyed by singles, families, young and old. 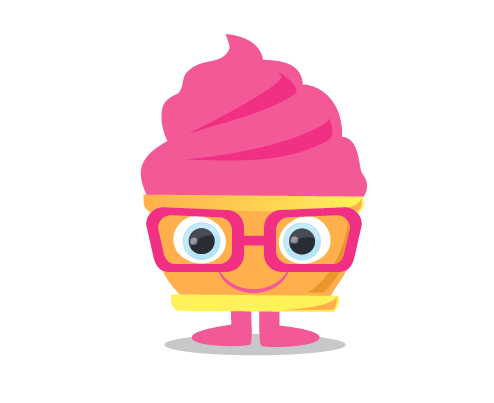 It is a magical space that offers something for everyone. We cannot keep away. 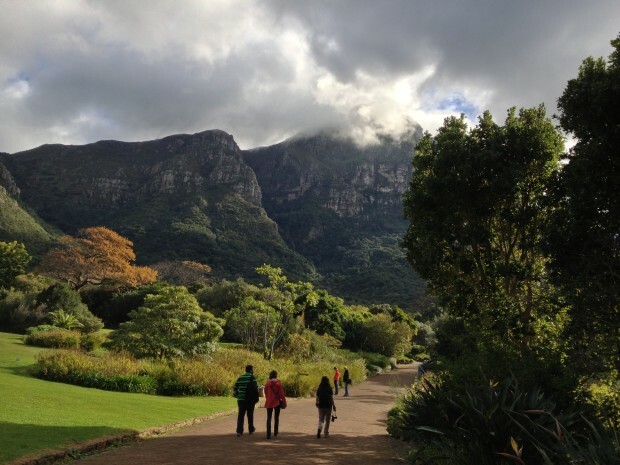 Future plans for Kirstenbosch includes a sky walkway up above the trees and we look forward to seeing and experiencing it for many more years to come.